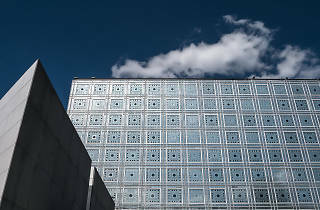 On Friday 29 & Saturday 30 September and Sunday October 1, the Institute du Monde Arabe is celebrating 30 years since its opening. And they're hosting quite the party. It's free entry all weekend; the museum and all exhibitions, guided visits, concerts, workshops, Arabic lessons for beginners...plus a huge electro party on the Friday night. Over the last three decades, the Institut has hosted several major, crowd-pleasing exhibitions, as well as attracting some of the biggest names in the world of Arab music to perform in its plush auditorium. In addition to restaurants, film projections, concerts and language lessons, there's an excellent Middle East bookshop on the ground floor, and the views from the roof terrace (to which access is free) are fabulous. 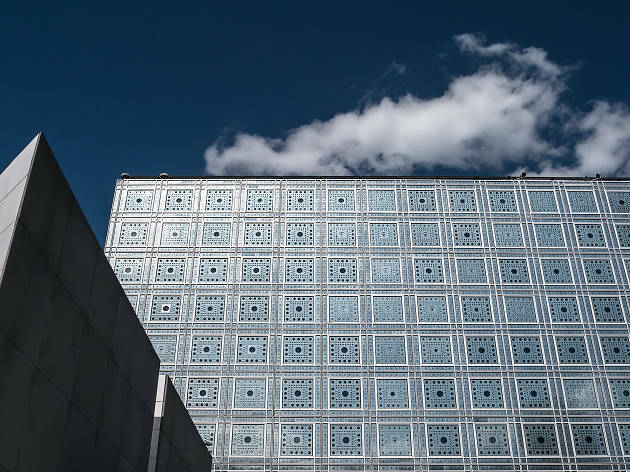 For the first time, the building's mythical Moucharabieh tiles, installed by architect Jean Nouvel, will be brought to life thanks by light expert Pissenem and the team at Sound System Arabic with Arabian electronic music. Lighting up the entire facade, the IMA will transform into a giant screen - vibrating with colour and sound on each night. On Saturday 30 September, at 8pm, 8.30pm and 9pm, there'll be 2-hour guided tours to parts of the museum which aren't usually open to the public. If you've never been, this the best opportunity to go!